A child’s journey of faith begins in the home. The Religious Education program assists parents with the sacred responsibility to educate their children in the Catholic faith. Our religious education team is dedicated to being a partner in your family’s faith formation and to sharing the Gospel message of Jesus with all the children and families of our parish. At the elementary level, children are introduced to the beliefs and traditions of the Catholic faith. Young children (generally, in the second grade) receive the sacraments of First Penance (Reconciliation) and First Holy Communion in the spring. Middle school students learn about living their Catholic faith, as they enter adolescence. The program incorporates presentations by inspiring speakers, social activities, service opportunities, and film and prayer experiences. 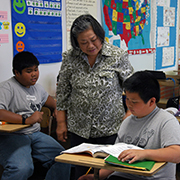 Our parish Vietnamese community conducts a religious education program (in Vietnamese) for children and youth. We are also pleased to offer sacramental preparation for students enrolled in a special education program in public school. For complete details and forms, download the Registration Packet and the Registration Form by clicking on the links at the bottom of the page. 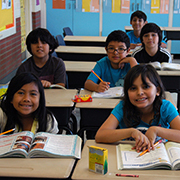 Religious Education Office Hours (Parish Center): Monday – Thursday, 9:30 a.m. – 3:30 p.m.